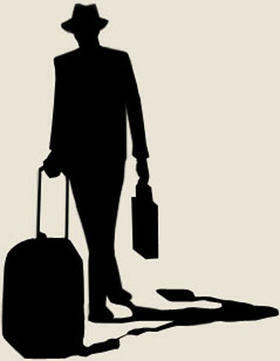 The Traveling Salesman Problem has been challenging mathematical minds for decades. Do you have what it takes to solve it? The iconic Mona Lisa still looks pretty good at TSP art. The Traveling Salesman Problem, or TSP, is the common challenge of finding the shortest possible route among a group of cities. When running into this problem in everyday life, most of us just turn to the always-helpful Google Maps. The genius computer program completes all the messy calculations and provides us with an itinerary planned down to the length, in minutes, the trip will take to complete. In the math world though, TSP is actually one of the most studied puzzles of applied mathematics – even though it involves no addition or subtraction. The concepts discovered from studying TSP have been applied to many things from designing computers to arranging music to hunting for planets. Want to test your knowledge of the Traveling Salesman Problem? Visit here for some TSP games that will make you think like a mathematician. Soon you might even be able to be your own Google Map! Click here for a program of randomized TSP sites that you can solve yourself. You determine how many points will be on the map and then toward the solution. TSP can also be used to make art. The color patches get replaced with dots which are then connected by finding the shortest path between them. Darker colors mean more dots and for lighter areas, less dots. Even the Mona Lisa has been converted using TSP! 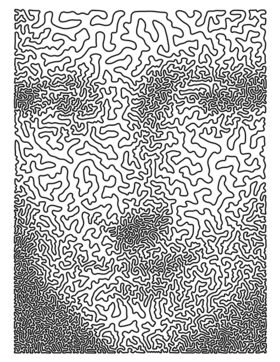 Click here for some more fun examples of TSP art. At the University of Minnesota's Institute for Math and its Applications kiosk in the lobby of the Science Museum of Minnesota, you can take your photo and turn it into a work of art just like Mona Lisa!